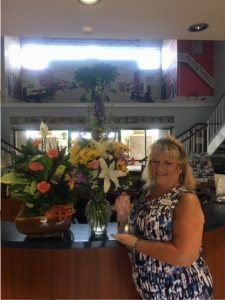 May 4, 2018 (Lakeland, FL): Kissimmee/Osceola County Chamber of Commerce Executive Vice President Cindy Lewis was recently recognized as the Florida Association of Chamber Professionals (FACP) 2017 Professional of the Year. The award was announced at the FACP Spring Conference, held May 3-4 at the Hilton Garden Inn in Lakeland, FL. Cindy has served the Kissimmee/Osceola County Chamber of Commerce for almost three decades. She will celebrate 29 years in October. She started as an executive assistant in 1989 and “worked her way through the ranks” to become Executive Vice President in 2008. Ask any long-term member of the Osceola business community and they will tell you, in Osceola County, Cindy Lewis IS the Chamber. “Cindy’s array of talents have proven to be invaluable for the Kissimmee Chamber. She does everything first class and owns the project from start to finish,” said John Newstreet, President/CEO of the Kissimmee/Osceola County Chamber of Commerce. Cindy is a Florida native, loves spending time with her husband, and is active at her ranch filled with livestock. 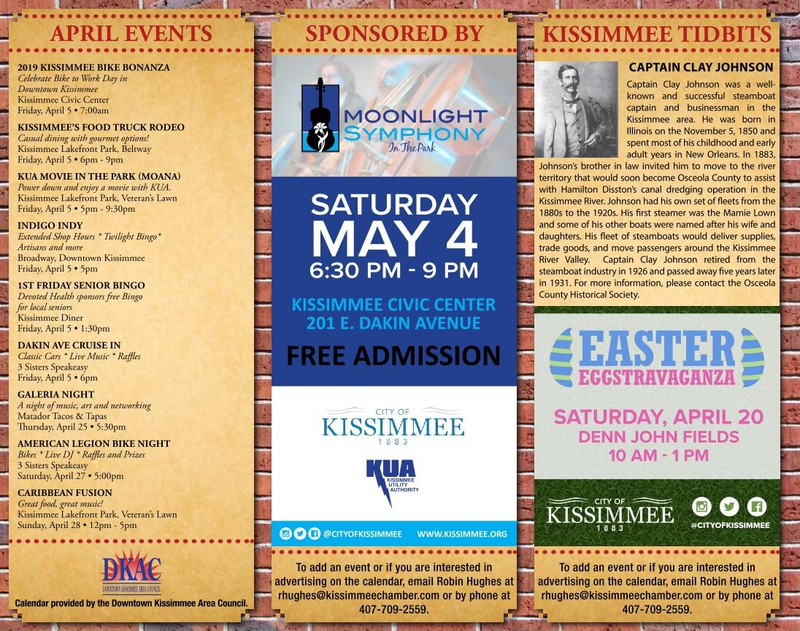 Serving Osceola County since 1924, the Kissimmee/Osceola County Chamber of Commerce is an association of business people whose priority is improving the business and residential community, while improving and making their business more profitable. Today April 1st marks “One Year Out” campaign for the Census 2020.